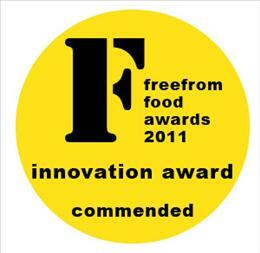 'The Mineral Salt', Seagreens' first new product of 2011 was Highly Commended at the Free From Food Awards in London. The judges remarked on its "interesting complex flavour – a good salt hit, and an excellent way of improving nutrient profile. Tastes like authentic salt but doesn't look like salt; tastes great. Seaweed doesn't come through too much, how clever is this?". The Awards were announced April 6 at the London Steam Engine Museum at Kew. Foods Matter, the leading British journal for free from and special diets which organises the annual Awards, shortlisted Seagreens in three categories. Seagreens Culinary Ingredient (100% dried granules of Seagreens® wild wrack seaweed) was Commended in the Ingredients and Innovation categories. The Mineral Salt (50% Seagreens® Hebridean seaweed granules and 50% unrefined Cornish Sea Salt) was Highly Commended in the Food Service category. 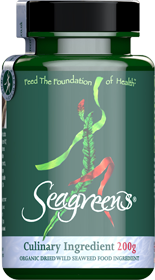 All Seagreens products are gluten, wheat and dairy free, and free from eggs, nuts and all major allergens. Since their introduction in 1998 there have been no confirmed reports of allergic reactions. The Awards were announced in London by Foods Matter editor and author Michelle Berriedale-Johnson and staff writer Cressida Langlands Boyd, and presented by British celebrity chef Antony Worrall Thompson. Asda the supermarket chain owned by Wallmart, was among the sponsors. Asda sponsored Seagreens for salt replacement research in 2007, at the Centre for Food Innovation at Sheffield. In turn this enabled Seagreens to establish the Seaweed Health Foundation for whole food seaweed research and education in 2010 with the Centre as its first academic partner.